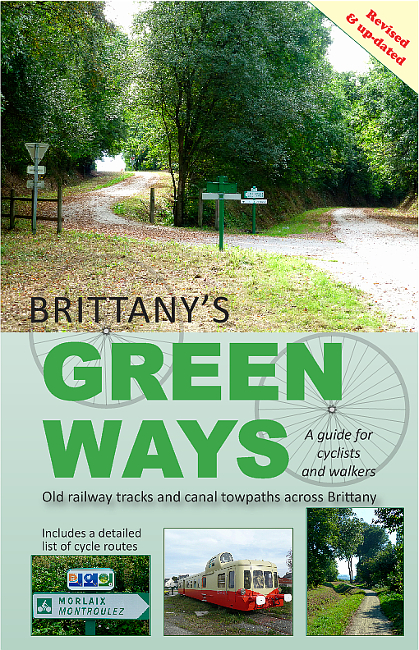 There is a brand new colour edition of this excellent guide to all the old railway tracks and canal towpaths of Brittany that make up a network of walking and cycling paths covering the entire region. These Green Ways (voies vertes) offer surfaced and relatively level routes for travelling short or long distances on foot or by bike. Many circuits incorporating sections of these tracks are also indicated in the very detailed maps of this spiral-bound handy-sized book. Also included are up-to-date accommodation details for those planning a long trip and reference to other relevant facilities such as places to buy provisions, restaurants and picnic tables. 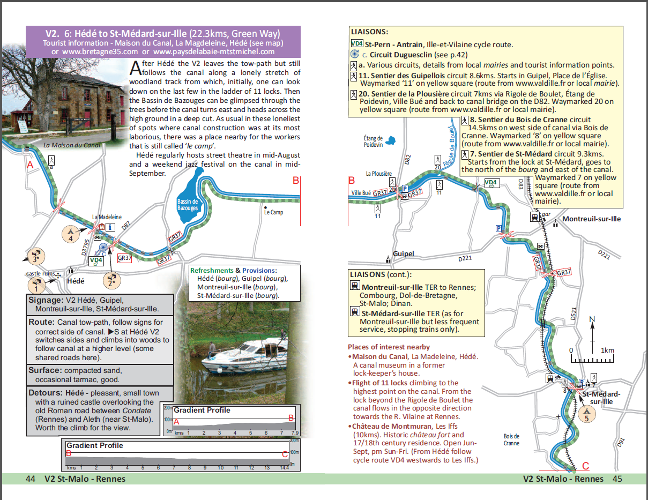 Places of interest accessible from these routes are also given and there are many colour photographs to show sights and scenery.